Maintaining personal grooming is important for the dignity and self-esteem of all people, but it is especially important for the elderly community. Looking good is feeling good, and we believe that presenting a positive image to the world is beneficial for both a resident’s mental health and physical health. 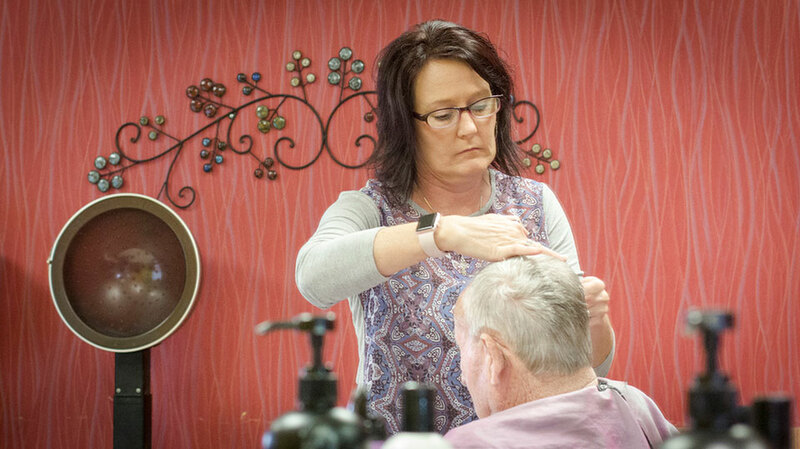 Residents look forward to the socialization and fellowship they receive at their weekly salon visits. Residents are able to count on a routinely scheduled appointment where they can experience camaraderie with their stylist and engage in conversation with their friends who are getting their hair done too. The campus has two on-site hair salons that make scheduling an appointment easy. Woodbury and Stonebridge both offer on-site salons that provide weekly visits from a licensed cosmetologist who helps residents look and feel their best. 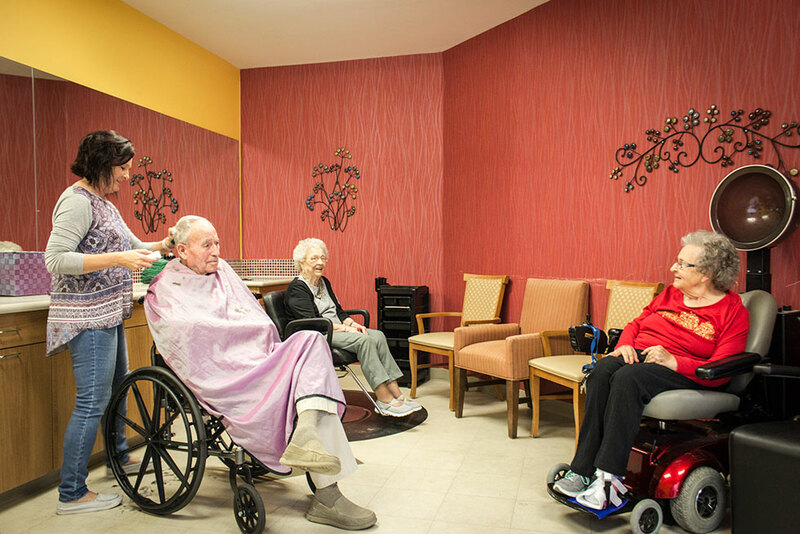 We are happy to provide this service to help residents maintain their physical upkeep and confidence, as well as provide an outlet where they can mingle and socialize.